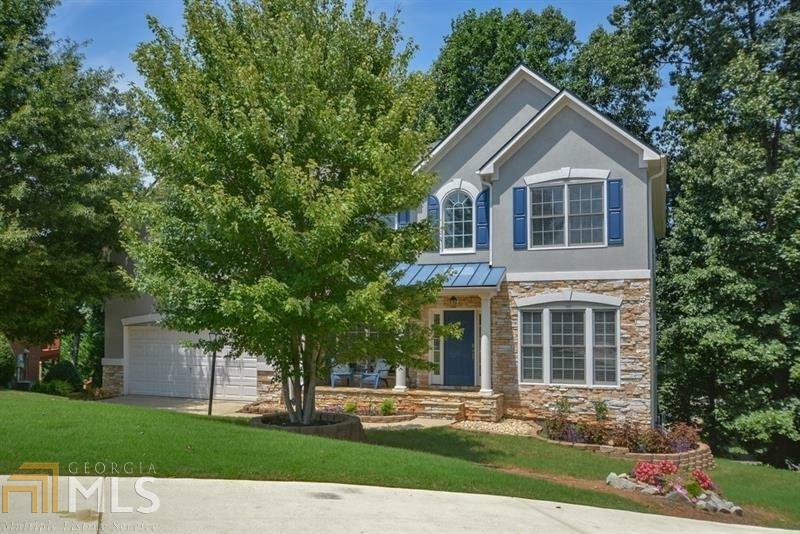 Spacious five-bed, four-bath home in Kell school district. New roof 2017, Pine hardwoods, Master on main. Huge great room with fireplace. Tailor-made for entertaining. Open kitchen floor plan. Four large bedrooms, two full baths on 2nd floor. Four walk-in closets! Basement unfinished - already stubbed for plumbing and electric - ready to customize. Great neighborhood, quiet. House faces upper end of cul-de-sac, great location for families. Directions: From 575 North Take Exit 4 Bells Ferry Road, Turn L. 0.5 Miles Turn R On Hawkins Store Road, 0.5 Miles Turn R Into Hawkins Green Subdivision Onto Canaan Way. 0.5 Miles Turn L Onto Galilee Drive. End Of Cul De Sac Arrive At Destination.